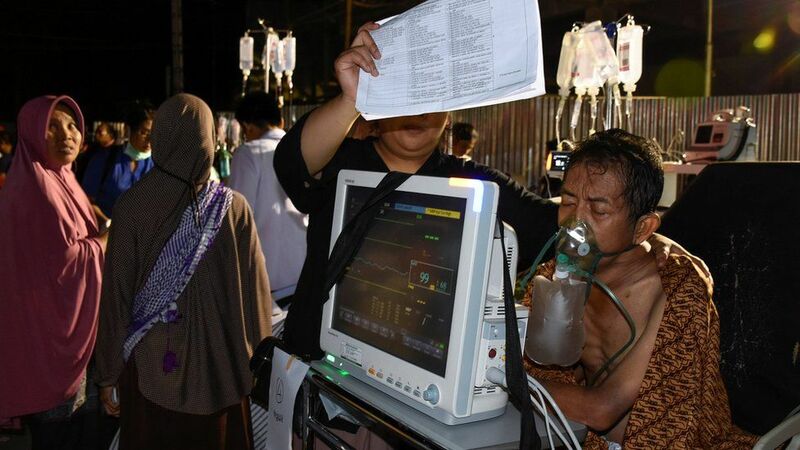 Hundreds of people have been wounded by Sunday's quake, officials say, mostly in the north of the island. 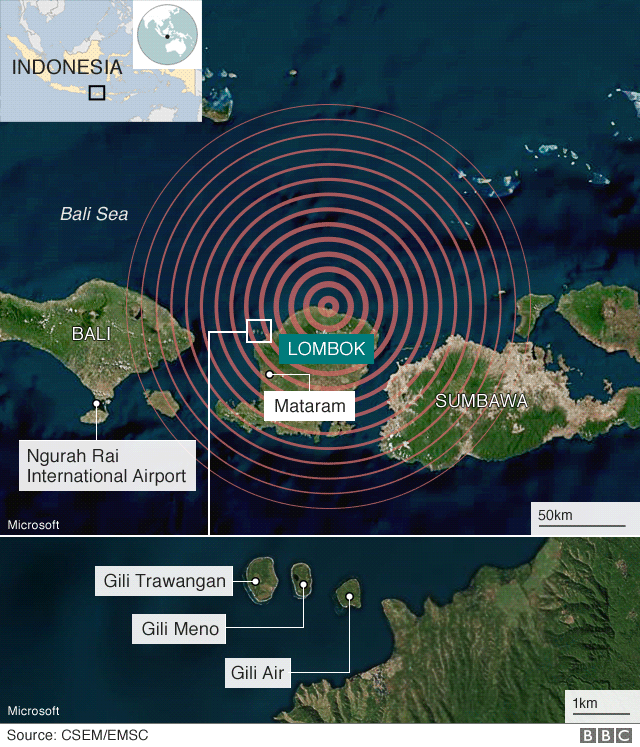 It comes a week after another quake hit Lombok , popular with tourists who visit its beaches and hiking trails. That quake killed at least 16 people. 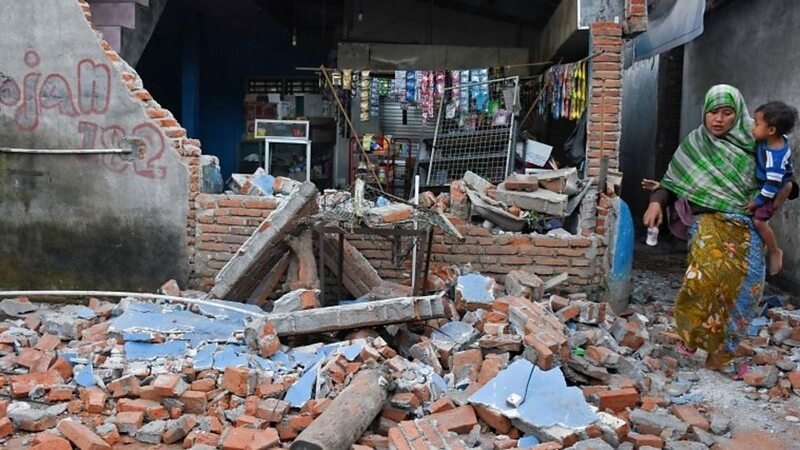 A spokesman for Indonesia's disaster mitigation agency told the AFP news agency that many buildings had been affected in Lombok's main city of Mataram. Most of them had been built with weak construction materials. 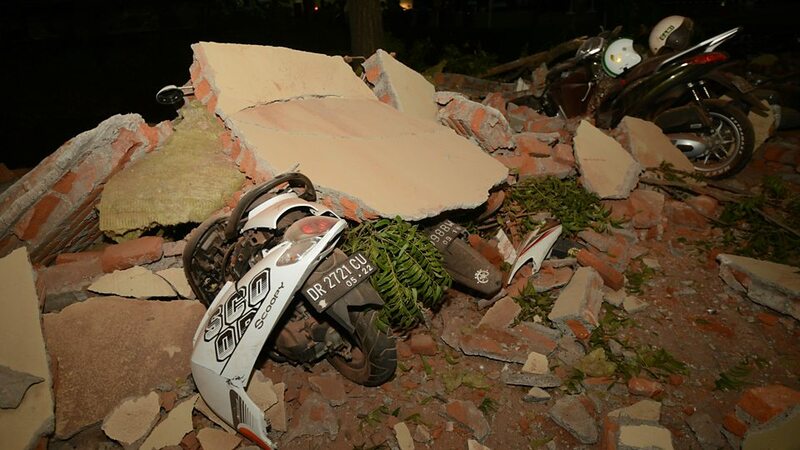 Model and presenter Chrissy Teigen, who is on holiday in Bali, described 15 seconds of a tremor, followed by "so many aftershocks". 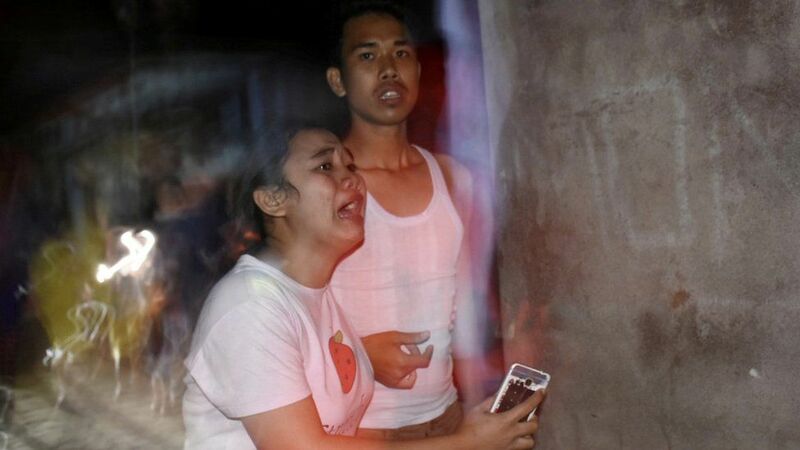 "Some of them are hurt and are in shock," I Nyoman Sidakarya told TV One.